One lucky buyer has entered into what could be the deal of a lifetime. 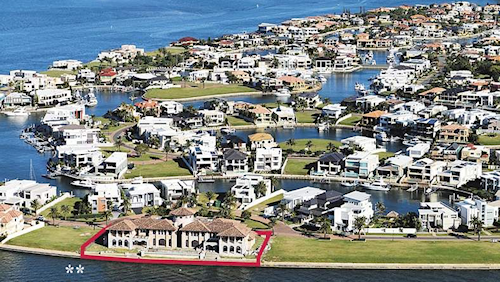 News.com.au reported that West Australian civil engineer Riccardo Rizzi has purchased one of the biggest houses on the Gold Coast for an unbelievable bargain. 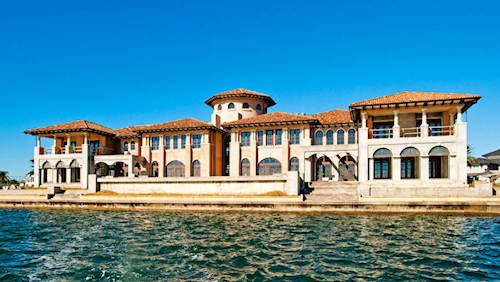 The house in question – a six bedroom, seven bathroom mansion – cost $12 million to build. It occupies 3004sqm over four blocks on the elite Sovereign Islands. The land alone is worth $9.44 million, meaning the total outlay of the property equated to a whopping $21.44 million. How much did Mr Rizzi pay? Only $5.3 million! The house is currently only estimated to be 80 per cent finished and will require extensive work to complete, but this has not deterred Rizzi in the slightest. The happy homeowner saw the sale as an opportunity that was simply too good to pass up, and he plans to move into the 26-32 Knightsbridge Parade East home, but is uncertain yet how much more he will need to spend to get the house in top living order. Rizzi told News.com.au that it was “a unique opportunity to buy something extremely special with the ability to bring the personal touch to complete it at an exceptionally good price”. Following the advice of Professionals Point Paradise sales agent Murray Schmidt, Rizzi was extremely pleased at the outcome of the auction, in which he outbid a Melbourne buyer who dropped out when the bidding reached $5 million. The property, which failed to regain a sum at all close to the amount paid for the house in total, was originally put on the market by mortgagee ANZ Bank following court action in Australia and Singapore to evict owner Clare Marks and husband Scott Tyne. The couple and Marks’ family were living in a completed wing of the house when they were evicted, after ANZ gained an order in the Brisbane’s Supreme Court last October to take possession of the house due to mortgage interest repayments not being made. Ms Marks unsuccessfully appealed against the order, and later said that she had declined a bank offer to lease her the house at $3000 a week because she could not afford the rent. The Paradise Point accountant said the ruling left her and her family “homeless”.